Person Centred Care is much in the news. Often cited as central to delivering the integrated health and social care systems’ vision we hear so much of. But what is it and why is it important? Many of us may already have had a health problem requiring us to deal with several different parts of the healthcare and social welfare systems. It can be a confusing and stressful experience. Each agency seems interested only in its narrow scope of expertise. Often we end up feeling that nobody is listening to us and that nobody ‘owns our problem’. In short, we have things done ‘to us’ rather than ‘with us’ and our care seems disjointed and poorly managed. This can be a frustrating experience for anybody. For an elderly person it can be overwhelming. Lead independent lives in the way that they have chosen, based on information they have received about the available options and with as much involvement as they want in making decisions about the care and support they need and how it should be delivered. Maintain relationships with family and friends and provide opportunities to take part in community life, including engaging in activities which match their interests, skills and abilities. Have a positive experience of care that is designed around their needs, built upon relationships of mutual respect and consideration and where care is delivered in a consistent way and is well coordinated with other agencies. How is Person Centred Care implemented at Little Brook House? It creates a positive experience for all concerned – residents, family and supporters and healthcare professionals. By actively encouraging participation in the planning and structure of care plans, people have a greater sense of ownership for their own well-being. Care becomes an experience based on relationships and trust. Part of a person’s way of life. Not just an episodic event or clinical intervention. The Care Plan provides the road map for care decisions. It starts with an in-depth pre-assessment that is carried out with all prospective residents and their family. This is usually done at the resident’s home but could be at a hospital or another setting if circumstances require. The pre-assessment deals with the obvious matters of record such as personal details, medical history and so forth. Just as important though is that we try to get to know something of the person themselves. A little about their life history, work life and key events. Their likes and dislikes, favourite foods, hobbies, interests. Any concerns that they have about moving home. In short, we try and get to know the person that is coming to live with us. 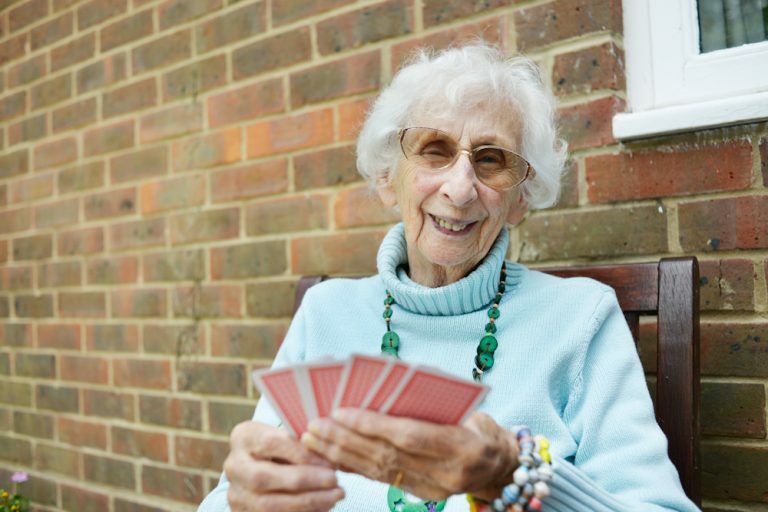 This helps us discuss with the resident and their family the choices about how they would like to live their life at Little Brook House and the sort of care they would like to receive at the home. The information we capture in the pre-assessment creates the basis of the Care Plan. The Care Plan documents all of the key decisions made about a resident’s care and is captured on Little Brook House’s digital care planning system. We use this as the starting point for all care planning. Each resident has an assigned key worker to provide continuity of care and to ensure that a relationship of trust and understanding develops. Over the first six weeks of a new resident joining us we adapt the Care Plan as we discover more about them. At the end of this six week period we arrange a formal review of the Care Plan with the resident and their family to discuss progress and confirm that we all have the same understanding of how we will move forward together. Where necessary we involve other agencies in the planning process, such as district nurses or other community care agencies so that they are fully aware of any care needs and have the opportunity to build a rapport with the resident. Once the the entry level Care Plan is created there is a process of continuous refinement as it is updated with any necessary changes that are needed. Some of these changes may be as simple as whether a resident would now prefer to have a bath rather than a shower. Others may be more complex, such as changes to medications or treatment protocols. In any event, these are captured in the Care Plan and this forms part of the communication mechanism to ensure that all care staff are aware of any changes affecting the resident. As a matter of procedure we formally review the Care Plan on a no less than annual basis with the resident, family and any external agencies key to the resident’s care. We also do monthly internal reviews as a a minimum to make sure that the Care Plan is up to date and accurate. Informally, the Care Plans are continually revised and updated as part of our ongoing learning process. For those residents that have capacity to do so we ask whether they would like family members to be notified of any changes to their Care Plans and for those of our guests who may not always be able to make those decisions, we liaise with the key contacts nominated as part of the Care Planning and pre-assessment activity. Little Brook House provides very good personal care with individual needs well attended to in a comfortable and homely setting with beautiful surrounding grounds. The staff are always kind and attentive and efforts are made to engage the residents in a range of activities. The food is home cooked and of an excellent standard and again care is taken to meet individual needs. Links with local services, medical and personal, are well maintained, medical attention is promptly sought when required and conditions are efficiently and effectively monitored and managed.